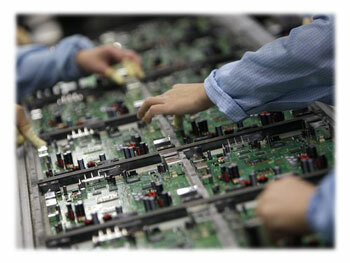 CoiNel provides customers with end to end electronic manufacturing solutions. With significant customer experience, CoiNel addresses the low volume to medium volume production, high variety and high complexity market segments serving customers in the Industrial, Telecom, Communications and Automotive markets. Our catering capabilities in small- and mid-size manufacturing in a broad range of markets means that we are experienced in working flexibly with customers. We can be exactly as involved as you need. Our deep engineering expertise and experience in Product Development, Test Technology, Assembly Technology, and Quality and Reliability enables us to deliver the following service offerings which directly address the critical challenges facing our customers: accelerating speed-to-market of new products, reducing total product cost, and delivering high-quality products. New products in early design or market trials. For mainstream products: supply chain management, materials sourcing, full assembly and test services. Contact us to discuss on your design requirements. In case you want us to contact you, kindly fill the contact form.